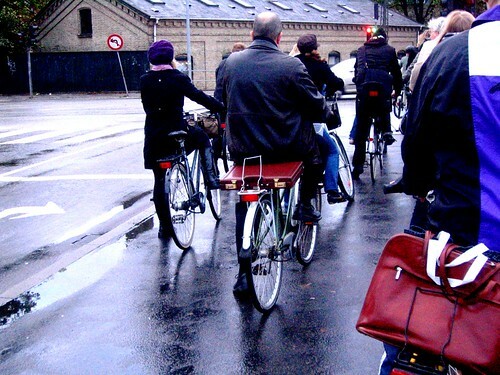 A Little Bit of Busy Bike Lane, originally uploaded by [Zakkaliciousness]. Not a busy street but still populated by bike commuters early in the Copenhagen morning. This bike lane is nice and wide - a bit wider than the 2.2 average in the city. Mostly because a number of bikes turn right here. I was sent this link from an article and accompanying reader posts from the Edinburgh Evening News website. A flock of militant whiners if ever there was one. Car drivers hating bikes, bikers hating cars and so little civilised coexistence and tolerance. It's a scary read, but inspirational for those who seek to increase bike usage, if you look at it the right way.